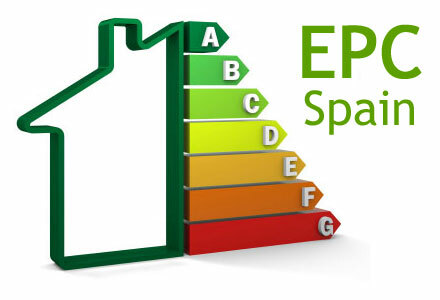 The Energy Performance Certificate is about to be introduced into properties in Spain as from 1 June 2013! So if you are looking at buying, renting, or selling a home there you will need to make sure you know what it is, and that you are meeting the necessary requirements put in place by the Spanish government. An EPC will be valid for a maximum of 10 years. The EPC (Energy Performance Certificate) is an initiative being used to establish the efficiency of properties, in an effort to reduce unnecessary carbon emissions. This has come from the Kyoto Agreement, an international treaty, in which countries attempt to reduce their carbon footprint. When taking the test (you need to contact a certified assessor), your property will be scored by being given a grade, the best being ‘A’ going down to ‘G’; ‘A’ being extremely efficient and ‘G’ being quite inefficient. If you do make changes to your property you can have it reassessed to gain a better score. The EPC will be place in Spain from 1 June 2013, and so you will have to make sure that you are in accordance with the law from that date, meaning that you may have to take action before this date. Any property advertised for sale or rent via an agent will need this certificate. Acquiring an EPC from the Spanish government is going to cost around €300 for the average home, however if you do not comply with the conditions, the government can fine you heavily and it may well end up costing you a lot more than you initially thought. What about landlords of Spanish properties? If you are already renting out your property to a tenant then you do not need to have an EPC, however if you change tenants you will need to ensure that you have one. If you do not obtain one, and you do not present it to the new tenants you risk your contract becoming void; the new tenant could sue you and your estate agents for compensation; and the government could fine you. Fines can be from €3,000 to €600,000.